Since day one, we have been on a mission to make hearing wellness more accessible and more affordable to music industry personnel. To help address this problem, we work with a handful of partners to ensure that their employees and clients are protected and have the tools they need to make and enjoy music for the rest of their life. Alleviating the problem of hearing loss and hearing disorders is at the heart of what we do, and with your help, our impact continues to expand. We had so much fun down in Austin, TX for the 17th year of Austin City Limits festival at the beautiful Zilker Park. We spent three days behind the BMI stage working with some of the coolest artists and friends of this years up and coming talent. BMI, a non-profit whose focus is music rights management, who believes hearing is one of our most precious senses which is why they include us backstage at their festivals, to make sure their artists, crew, staff and friends are able to take advantage of our onsite audiology services and ask questions about their hearing. Almost 100 attendees had us take impressions of their ears for new custom ear protection, and we also removed a whopping 5 lbs of earwax (our very scientific overestimate)! A special thanks to the entire BMI team for making sure that their artists and guests had the opportunity to take care of their ears while on the road! We look forward to many more with these guys. As much as we LOVE to travel, we were pumped to have another opportunity to work with musicians in Chicago (our hometown!) at the 9th Annual North Coast Music Festival! We were psyched to see so many folks come out to the festival- despite the rainy Chicago weekend! Even though the weather was so rough that the headliners were rained out, we were still able to meet with over 50 artists, crews, and festival staff over the 3 days at the festival. Located in the artist hospitality area, we were available to answer hearing questions and provide complimentary hearing services to those that are usually too busy on the road to get their hearing taken care of! This was also our first event as part of a new group we formed with a group of doctors and wellness therapists committed to bringing healthy living to musicians and their crews. Dr. Charlie, “the musician’s physician”, kept everyone feeling good all weekend with chiropractic adjustments and shots of ginger juice, we had John and the Sound Body chairs that provide a hearing sound meditative experience onsite at the festival, and massage therapists doing massage for $1/minute. Be on the lookout for our group at other festivals near you! We were so excited to partner with BMI to attend Lollapalooza in our hometown of Chicago! In it’s 27th year, Lollapalooza once again hosted artists and guests from all over the world in Chicago’s historic Grant Park. BMI, a non-profit whose focus is music rights management, was kind enough to invite us to their stage on Saturday and Sunday of the festival. There, we were able to meet tons of musicians, crews, and festival staff who had the opportunity to chat with us about their hearing needs. Over 40 attendees had us take impressions of their ears for new custom ear protection, and we also removed 2 tons of earwax (our very scientific overestimate)! A special thanks to Nina Carter and BMI for making sure that their artists and guests had the opportunity to take care of their ears while on the road! We look forward to continuing to work with BMI to bring hearing wellness to their artists, employees, and clients. We had the amazing opportunity to partner with Country Nation, a division of Live Nation, to take care of country artists (and their ears!) at the sixth annual Faster Horses Festival in Brooklyn, Michigan! During the three days of Faster Horses, we had the chance to meet with tons of festival staff, musicians, and artists’ crews to discuss their hearing concerns and provide them with access to complimentary hearing services. We were so excited to bust out our cowboy boots and take care of some country artists- and bust a lot of wax out of their ears! A big thank you to Anna, Ruthie, and the entire hospitality team for providing your guests with the opportunity to see an audiologist while on the road! It was awesome to see so many amazing artists and crew members take advantage of our services, including members of Florida Georgia Line, and the Cowboy Karaoke group! 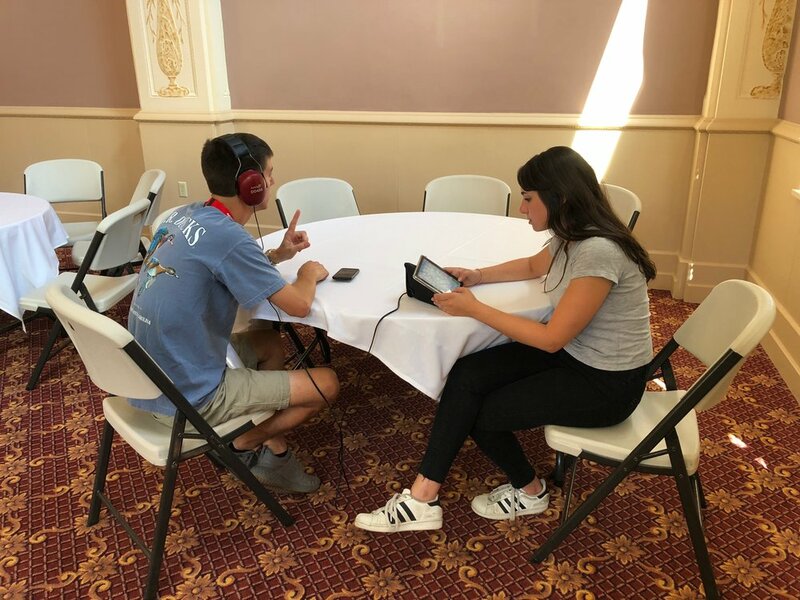 We were honored to partner with MusiCares to take care of ears at the eighth annual Montana Folk Festival, in Butte, Montana! Throughout the three days of the festival, we had the opportunity to work with a diverse group of musicians from all over the world, including Cambodia, Spain, and Colombia! 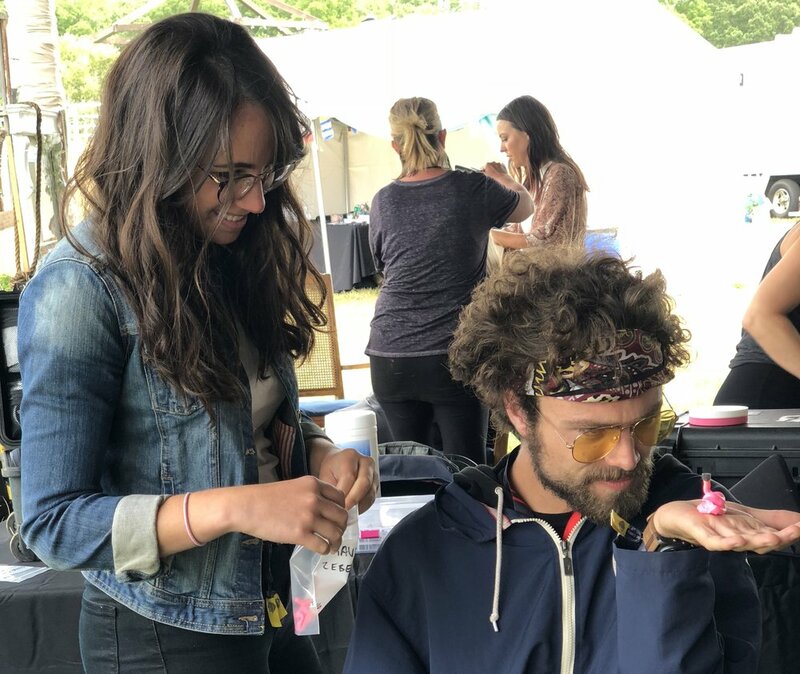 We provided almost 100 musicians, engineers, crew, and festival staff with ear impressions, hearing tests, and ear wax removal. Shout-out to MusiCares, who provided the funding for custom hearing protection for 80 of the music industry members we saw. We had a great time talking about hearing wellness, listening to great music, and removing 3 lbs of wax...okay, maybe not 3 lbs, but there was definitely a lot of wax! A big thank you to MusiCares, who invited us to join them at the festival! MusiCares is the Recording Academy’s charity that provides assistance for music people in need. MusiCares does more than just earplugs- to learn more about their services please visit their site below. We look forward to continuing our partnership with MusiCares and supporting their mission! A huge shout-out to Soundslinger and Okeechobee, for taking such great care of their guests’ hearing needs! Knowing that the music festival scene can cause hearing injury, the folks at Soundslinger invited us to take part in the 3rd annual Okeechobee Music & Arts Festival in Okeechobee, Florida to take care of the festival’s bands, crews, and guests. Coincidentally, the festival also fell on World Hearing Day...we think it was meant to be! Throughout our three days in the Artists’ Village at Okeechobee, we took care of hundreds of ears. The festival staff, artists, and their crews had access to complimentary ear exams, ear wax removal, ear molds for custom hearing protection, and the opportunity to ask a licensed audiologist all of their ear and hearing questions! Many thanks to Kylie, Anna, and the entire Artist Relations and Hospitality Team. We were psyched that so many amazing artists and crew members took advantage of our services, including Khalid, Turkuaz, Quinn XCii, and Thievery Corporation!